I don't normally photograph people - they move around to much, and they just don't catch my interest as much as landscapes or wildlife. 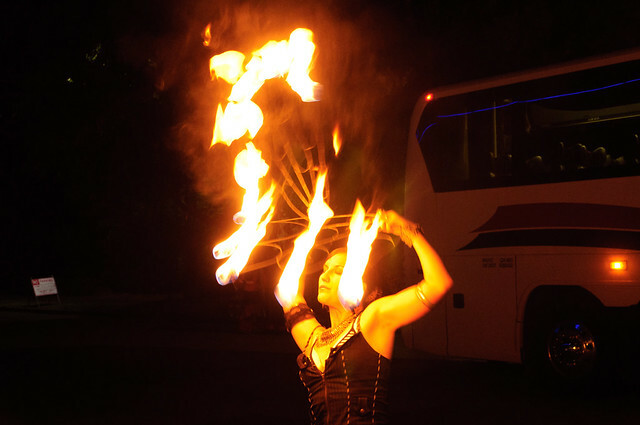 But occasionally something just catches my eye, like this girl fire-dancing in Seattle at an Intel event last October. 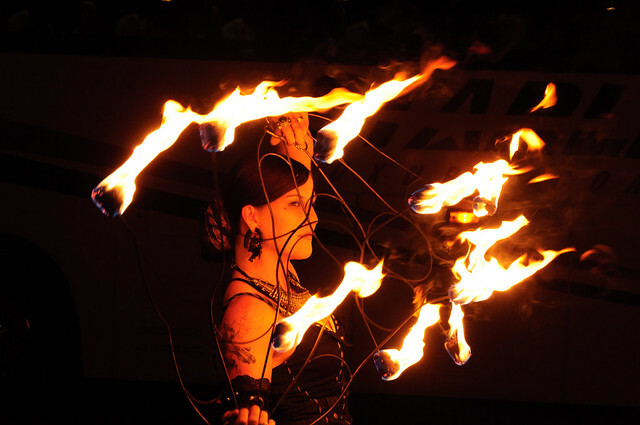 It wasn't the usual torch or poi dance, instead she was using a pair of sculpted metal frames to hold several burning torches. Illuminated by her flames, in the dark, she stopped moving for a moment, enough time to fire off the shutter and capture a simple portrait. The torches were like extensions of her hands, reaching out into the night, while she was lost in her movement and the fire.